Does any one else on the forum have a LGD ? I have a fantastic Maremma . He guards all the animals chickens pigs and sheep he lives out side mostly and is free to roam 7 acres. He preferes to be out side. Loyal to a fault and very defensive of the property. He has a huge bark to warn of predators has managed to catch the odd fox that’s tried it on and keeps away unwanted people. 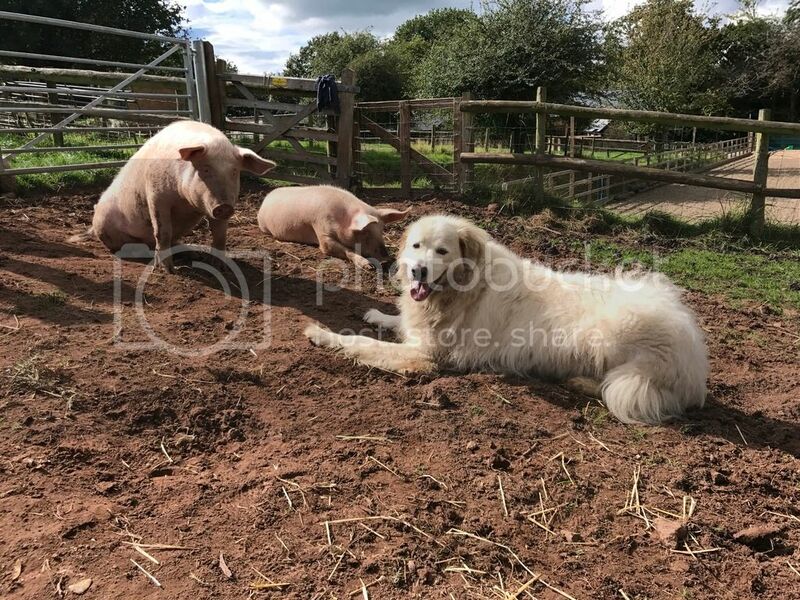 If you have the space want a superb dog then have a look at a Maremma highly intelligent independent dog and for the most part will ignore your commands unless they think it’s the right thing to do ? As a dyed in the wool gundog person I have the greatest respect for the Maremma. Glad you have work for him to do, they can be a nightmare if left to their own devices. You are very lucky! He looks lovely. I have a Maremma, best dog I have ever had. She protects my chickens and ducks from fox and bird attack. She has never been a problem, she knows her job bless her and she has only just turned one. I haven't lost a chicken since we have had her, she is an absolute dream. Her personality is to die for, good with all our animals, sheep, horses, cats and other dogs. I love her.